Product prices and availability are accurate as of 2019-04-17 14:06:26 UTC and are subject to change. Any price and availability information displayed on http://www.amazon.com/ at the time of purchase will apply to the purchase of this product. 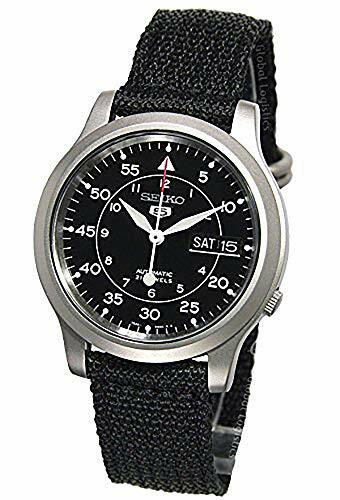 The Seiko 5 Men's Automatic Black Strap Black Dial Watch is a stylish timepiece with the convenience of automatic movement. A uniquely designed, black dial features white Arabic numbers marking the hours on an inner circle and the minutes on an outer circle, while small, bar indexes encircle the dial on an outside minute track. 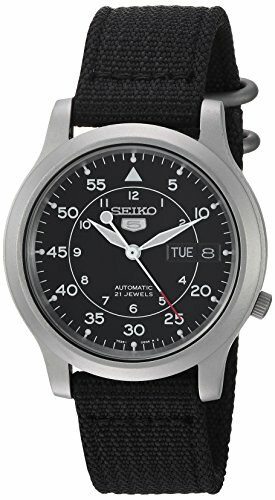 Silver-tone hands with luminous fill make it easy to tell time day or night, and the slim second hand is detailed with a red accent. For added convenience, a day and date display are set at three o'clock. 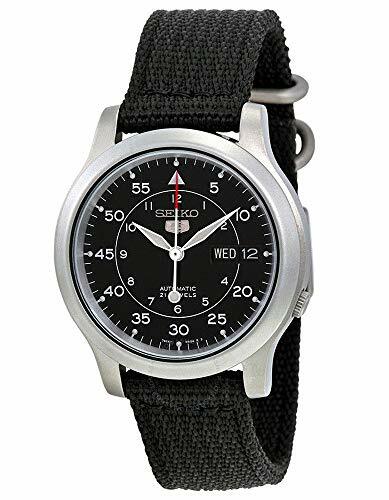 The polished stainless steel case extends to meet the black nylon strap, which wraps comfortably around the wrist and fastens with a traditional buckle. 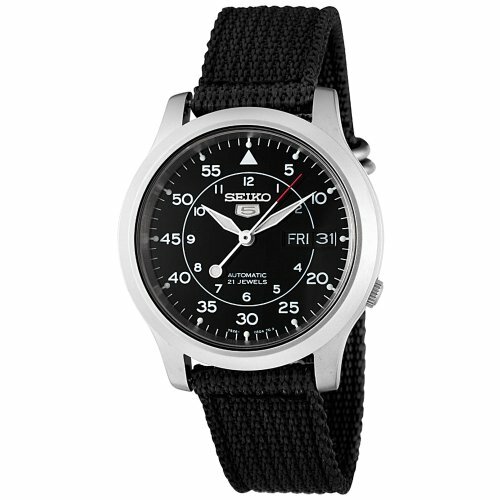 Water resistant to 30 feet (100 meters), this high-performance watch is perfect for everyday wear. This is an automatic mechanical watch. Automatic watches do not operate on batteries, instead, they are powered automatically by the movement of the wearer’s arm. If the main spring in your automatic watch is not wound sufficiently, timekeeping may become less accurate. In order to maintain accuracy, wear the watch for 8 hours or more per day, or manually wind the main spring by turning the crown. When not in use, automatic watches may be kept charged with an automatic watch winder – a watch storage unit which may be purchased separately.